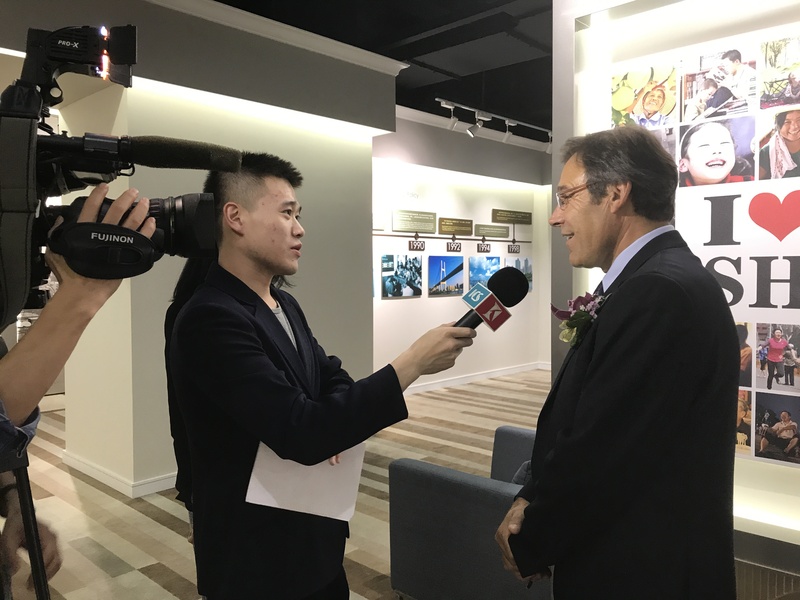 China International Industry Fair – Mr. Duarte hopes to popularize Shanghai’s investment environment, promote and improve the cooperation in French-Sino industry area through this project. 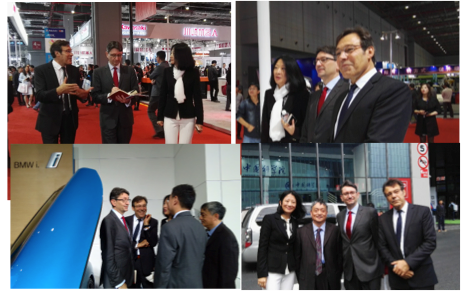 After work for several months, 6, Nov.2015, invited and companied by Mr. Duarte, Axel Cruau, French Consul General in Shanghai, investigated the 17th China International Industry Fair under personal name, which was held in National Exhibition and Convention Center (Shanghai). It included information & communication technology show, robot show, energy-saving & new energy car show and technology innovation show. 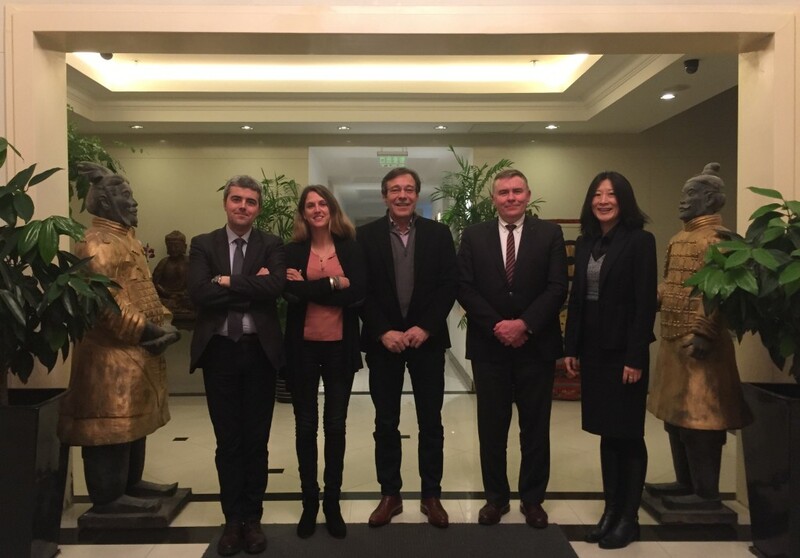 The Consul General expressed basic recognition and would discuss with Mr. Duarte about how to promote the work and attract French high and new technology enterprises to attend 2016 China International Industry Fair. 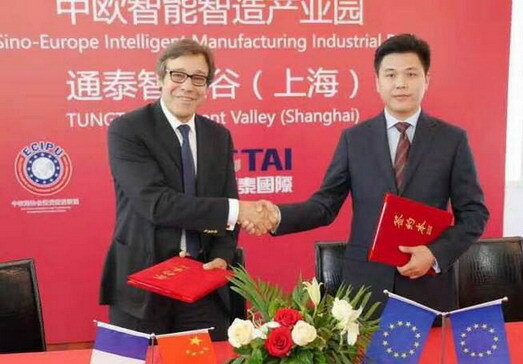 Background: 15, May 2015, Because Mr. Duarte devoted himself to the cooperation and exchange among Shanghai and French government and enterprises, and had thirty-year experience and relationship in industry area, the organization committee of China International Industry Fair formally entrusted Mr. Duarte to lead the communication with French relevant government departments and industry institutions, to promote the invitation of guest of honor of 18th China International Industry Fair. 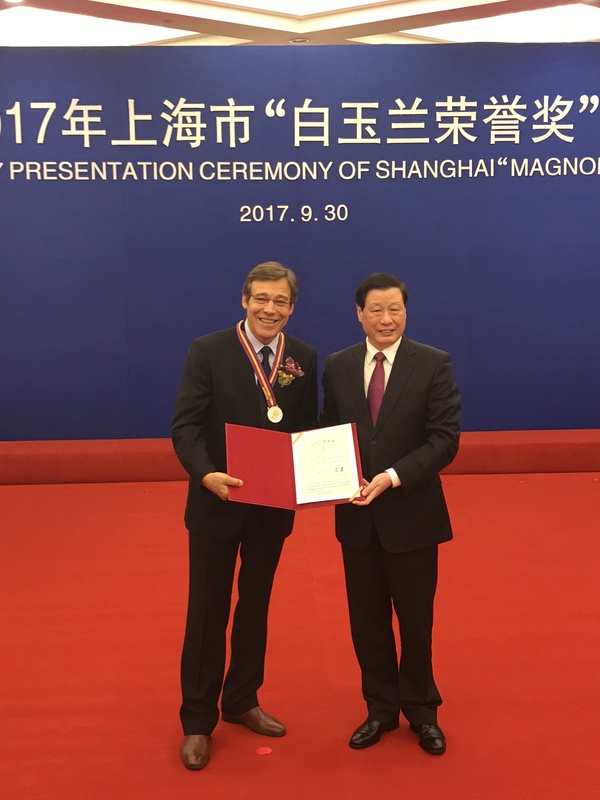 The founder and leader of psychomotor rehabilitation field: France ISRP enters into China. The word “psychomotor” was founded by French Soubiran Family in 1967, at the same time ISRP was established. ISRP is the founder of the psychomotor rehabilitation industry, and is the worldwide leader in the field of psychomotor rehabilitation education and training, which is approved by Ministry of Health, France. ISRP officially registered in Dpark in December, 2014. Dpark helps ISRP to look for financial investment and cooperation partner in China, to solve the problems of administration and government relationship, and to devote itself to bring the new idea and expertise of psychomotor into China, fill the insufficient of the system management in the field of rehabilitation in China, improve the educational background level and professional skill of the employees in the rehabilitation field in China. ISRP provides training in the fields of pediatric rehabilitation, adult rehabilitation, geriatric rehabilitation and industry management of health care, to doctors, therapists (OT, PT …), nurses and managerial staff of health care institutions. ISRP was approved by French government in 1974, and the certificate was awarded by French Ministry of Health. In France, nearly half psychomotor rehabilitation therapists who have higher education certificate recognized by the nation, are from ISRP. ISRP offers two modes, one is academic education (bachelor and master), the other is continuing education (has cooperation with most famous hospitals, medical institutions, nursing homes, nurses’ home, etc.). It can ensure to cooperate with several French or international universities to give lessons, issue university diploma or occupation training certificate independently or jointly. ISRP is also the most international institute in this field: it holds annual summer seminar, organizes international conferences, and establishes cooperative relationships with more than 20 foreign universities. With the help of DPARK, ISRP President, JOSE SOUBIRAN signed Cooperation Memorandum with the Director of Shanghai First People’s Hospital, Wang Xingpeng in Dec, 2014, witnessed by DPARK President, Mr. Duarte. With the help of DPARK, on Mar.21, 2015, ISRP held the event “Sino-French psychomotor rehabilitation academic exchange” in Shanghai First People’s Hospital, especially invited ISRP successor, the international project director Mark Soubiran and the expert team to do special presentations. And through video conference and simultaneous translation, the dean of ISRP, Gerard Hermant and his French expert team answered the questions from conventioneers, especially the questions about Alzheimer’s disease and children’s autism. The event attracted more than 120 experts in the field of rehabilitation from more than 70 hospitals in Shanghai and the surrounding areas. The Director of Dept. Rehabilitation Medicine of Shanghai First People’s Hospital, the chairman of Cinesiotherapy Committee of Shanghai Association of Rehabilitation Medicine, Professor Chen Wenhua chaired the event. The Secretary-general of Shanghai Association of Rehabilitation Medicine, Professor Zheng Jiejiao, the chairman of the Physical Medicine and Rehabilitation Committee of Shanghai Medical Association, Professor Wu Yi, the chairman of Children Committee of Shanghai Association of Rehabilitation Medicine, Professor Tang Liang, and other directors from major hospitals in Shanghai attended the event. After the event, Shanghai experts think that the rehabilitation idea and practice experience of ISRP will improve and fill the insufficiency of the system management in the rehabilitation field in China, and improve the educational background level and professional skills of the employees in the rehabilitation field. Its prospect is very bright in china. 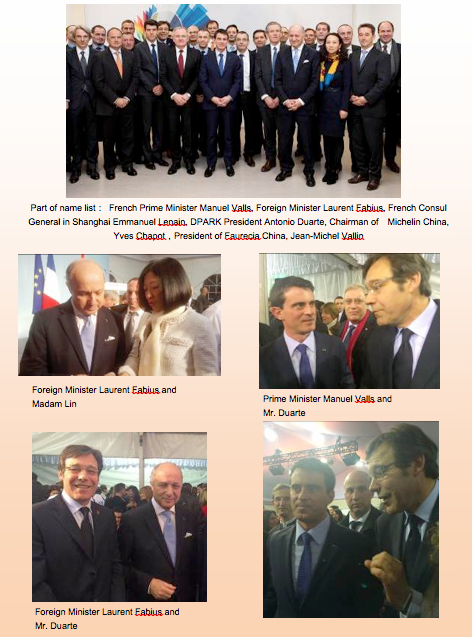 Visit Of the French Prime Minister Manuel Valls in China, DPark was there. 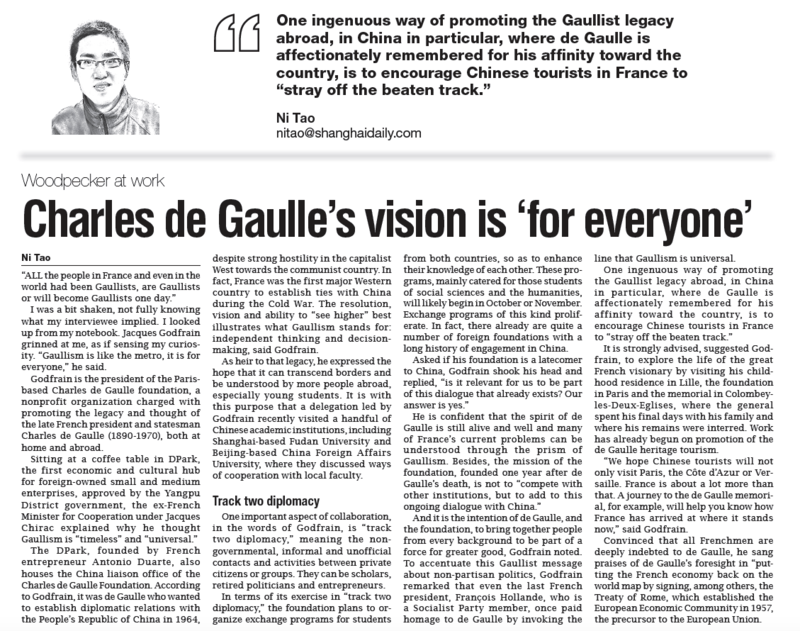 From Jan.29 to Jan.31, 2015, invited by Premier of the State Council Li Keqiang, French Prime Minister Manuel Valls visited China. 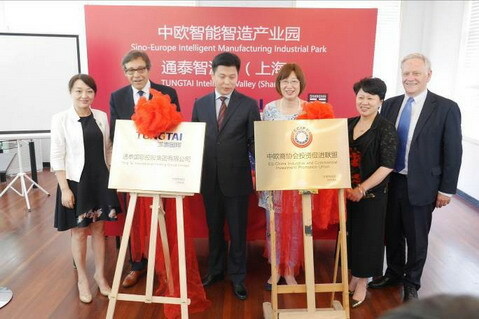 DPARK President Antonio Duarte was invited to accompany Prime Minister in Shanghai. Prime Minister and Foreign Minister Laurent Fabius met Mr. Duarte, and thanked him for his help to the development of French companies in China. Mr. Duarte introduced the investment environment of Yangpu District of Shanghai, and Orpea Group, ISRP, which entered into DPARK recently, to Prime Minister. 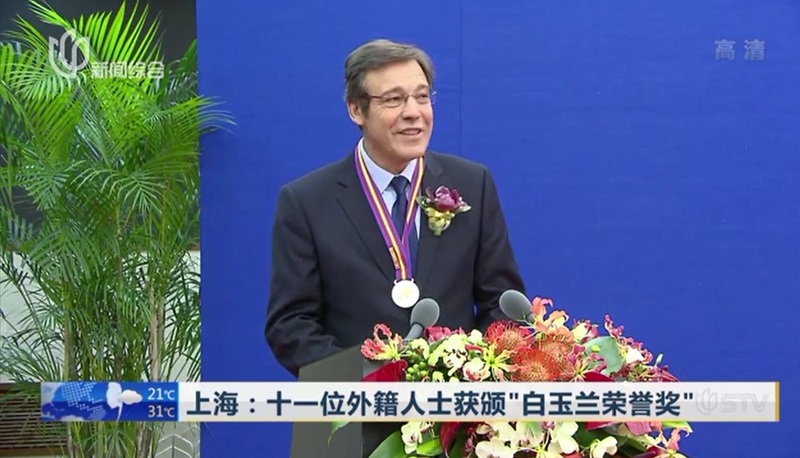 Prime Minister and Foreign Minister thanked Mr. Duarte for his help to the development of French companies in China. They received the invitation to investigate DPARK when they visit Shanghai again, and would ask the relevant department to contact with Mr. Duarte. 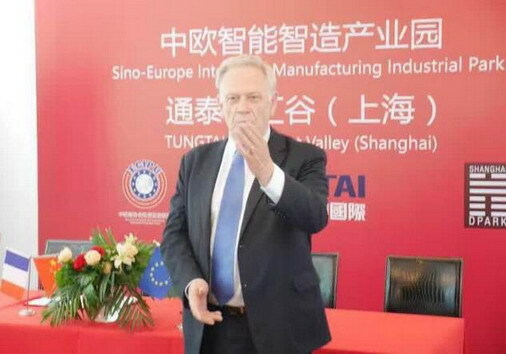 Mr. Duarte also introduced the planning Sino-French Ecology Health Industry Park which would introduce French advanced enterprises in the medical and health field to China, to promote the cooperation between China and France. Prime Minister and Foreign Minister were very interested, and would ask the French Business Investment Department to know about the project further. Mr. Duarte also suggested to establish state-level ecology health industry park. 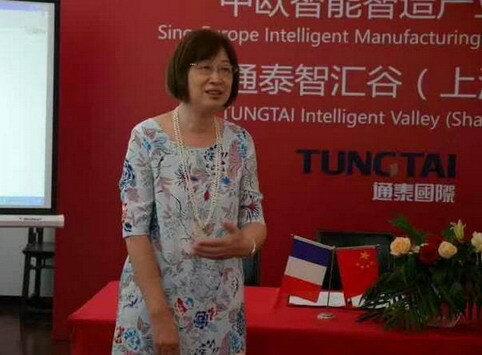 Prime Minister promised to give the biggest help to Chinese enterprises which come to France to invest.